I was joking with my friends during run club this week that I'm going to be 26 going on 13 because even though I'm officially in the later part of my 20's, I still feel like a kid! (And I still act like one!) Sure I have to do adult like things like pay my student loans every month, manage my taxes, negotiate partnership agreements (shout out to my lawyer who sits with me patiently on the phone), plan for my future and hold conversations with big wigs who can make or break me in one email, but at the end of the day I still look at a cardboard box and think, "This would be fun to slide down a hill in." My 25th year has been quite the year. I'm not one to sit back and watch people have fun without me so I suppose it makes sense why I've been so exhausted...and poor...If my 25th year were a marathon, I'd be in the 26th mile; right at the point where you think, "I'm running on empty...I'm so tired...And so close...But more tired...I wish I could get a piggy back right now...I don't even think I can feel my legs...Maybe I should check to see if my legs are still there...They are...Oh good, the finish line!...Am I smiling?...I can't feel my face but I think I'm smiling...I'll ask this stranger, excuse me sir, am I smiling?..I am? Oh and crying?...Oh, I didn't even notice...Alright 10 more steps...9 more steps...8 more steps...Oh I didn't count right I'm done! I did it!...Alright, someone get me a handsome man, a cheeseburger and a wheelchair....And a chocolate milk...And a cupcake!...But most importantly the cheeseburger...Oh a medal, thank you!...No I'm alright, I don't know why I'm crying....Wow, I'm cold now....I need a warm hug....And that cheeseburger....How do I get home?" Basically that's how I feel right now. 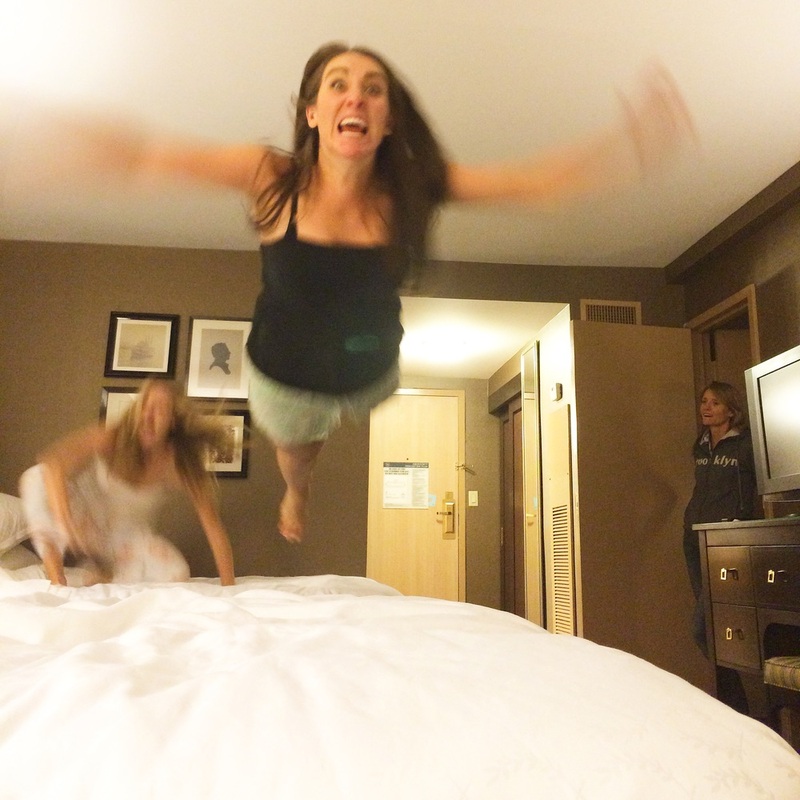 Let's take a little walk down memory lane and remember my 10 favorite bat sh*t crazy things I did as a 25 year old! From Ohio, Baltimore, D.C., New Hampshire to Chicago -- WE WENT EVERYWHERE FOR SOME FAMILY TIME AND HAD ALL THE FUN! 8. Launching on Youtube! The Road to Run, Selfie, Repeat! Arguably the most difficult venture yet, I am so excited to bring you more videos on the YouTube! 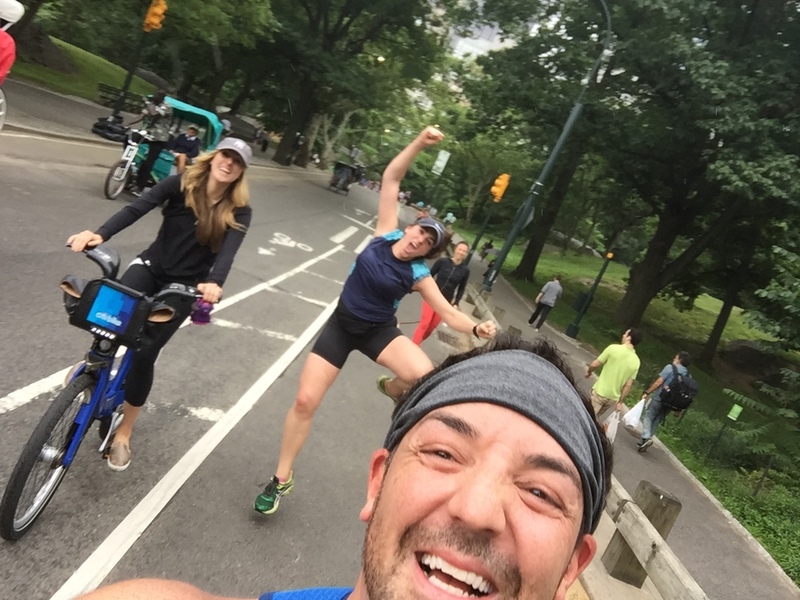 Click Here and subscribe for the latest from The Road to Run, Selfie, Repeat! 7. The San Francisco Marathon. 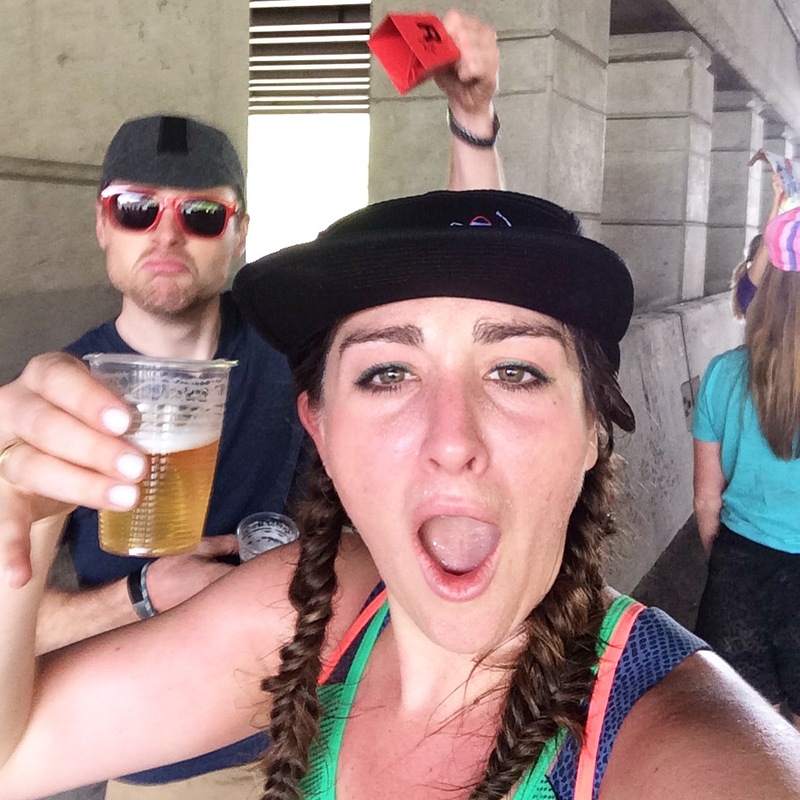 My biggest mistake (and one that I don't regret) was running this marathon. It's the reason my calves are a hot mess right now and why I'm terrified to run back to back Berlin and New York City Marathons. But it was incredible and ridiculous amounts of fun. CLICK HERE to find out "How I Ran A Marathon On Accident". OOPS! 6. The Airbnb Brooklyn Half Marathon! The most fun I've ever had during a half marathon, the Airbnb Brooklyn Half Marathon was a SCREAM! Run with friends! It's so much more fun! 5. The Birth of the #TouristOlympics! We aren't afraid of looking like fools when we go somewhere new! While we were running around California this past July we came up with the hilarious idea to glorify our touristing tendencies. Come one come all to the #TouristOlympics. 4. A Very Kennedy Christmas! We aren't a religious family but Christmas is hands down the best day of the year for my family. From pinatas to silly string fights, Christmas is always a blast. 3. My Spontaneous Trip To Walt Disney World. I'd been planning to go to Walt Disney World with my best friend Raven and her family for over a year. But as I started planning 2015, I realized I was doing way to much traveling and blowing money on Disney World wasn't in the cards. With a heavy heart, I decided to skip the adventure. Then that Thursday, Raven was making me feel guilty (OK not guilty...) just that it wasn't going to be the same without me. Then Friday morning I met my hero Mindy Kaling and riding that high I said SCREW IT I'M GOING TO DISNEY WORLD! I booked a flight, called Mama Lucy (Raven's Mom) and told her I was going to surprise Raven and show up Saturday morning. Best decision ever. Yosemite has a very special place in my heart because it was my brother's favorite place on earth. Freshman year in college I decided to miss a famiy trip to Yosemite after I was cast in a main stage production. (It was a big deal at the time.) The trip fell over Easter and my brother passed away a few months later. We haven't gone back since but we decided this was the year to do it. It was a really special trip back to the Valley. 1. The New York City Marathon. I will never be able to communicate how incredible this marathon was. Every second was magic. I'm tearing up just thinking about it. This city puts on one hell of a marathon. Alright...Now I realize why I am so poor...I think I need to learn how to save money...BUT HEY! At least I will be able to say, "My twenties were the best years of my life!" RIGHT?!?! RIGHT!?!?! No but in all seriousness, I think it's really important that you make an effort to make the most out of your time on earth. I know how crucial every moment is and if you miss a chance to be with your people, making incredible memories, you won't be left thinking about what could have been. Always live for now. Here's to being 26! Maybe this year I'll learn how to put money in a retirement fund or pay off my student loans! (I doubt it.) Until next time, #RunSelfieRepeat.